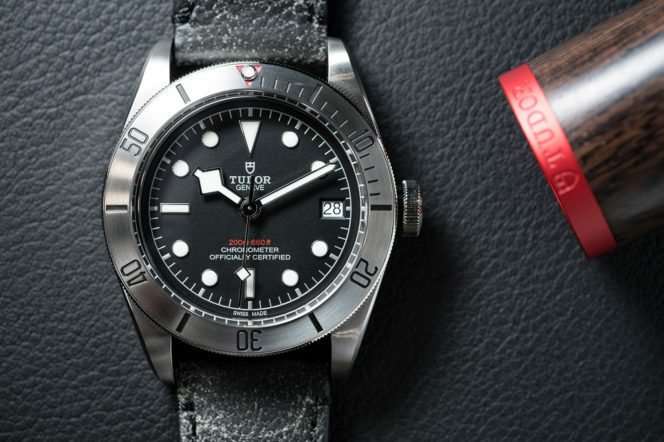 These days it seems like everything is going the way of Swiss watch brand, Tudor. 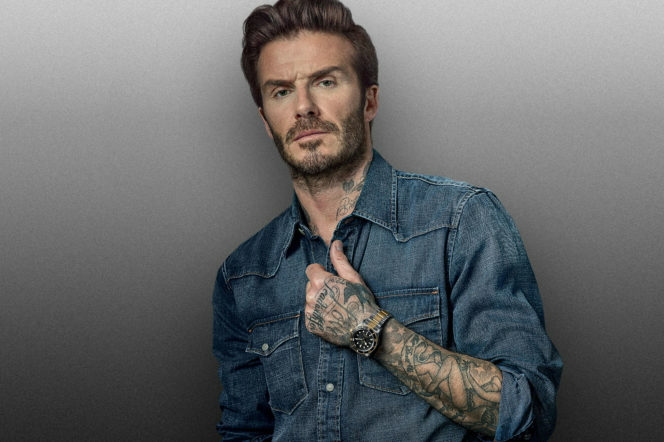 Proud creator of some of the hottest watches currently on the market, the company has recently announced football legend and global fashion icon David Beckham as Brand Ambassador as part of its ongoing ‘Born to Dare’ campaign. Throw exceptional value for money and in-house production capabilities into the mix and it’s not hard to see why Tudor is the brand everyone is talking about these days. Founded in 1946, Tudor enjoyed early success thanks to its unique positioning. The idea behind the brand was relatively straight-forward; Hans Wilsdorf, creator of Rolex, wanted to launch a new watch brand that would offer the precision and reliability of a Rolex timepiece but at a much more accessible price point. This was several decades after Rolex had already established its popularity, paving the way for Tudor to dominate the lower end of the market using a similar strategy. The idea was a hit. 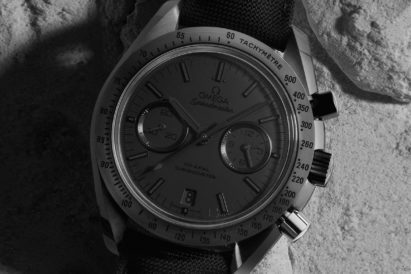 The association with Rolex gave Tudor watches instant credibility, whilst at the same time the company invested heavily in technical developments such as the waterproof Oyster case and the adoption of a self-winding movement that would allow it to carve out its own niche as a standalone brand. And so, for the next 30 to 40 years things went along pretty swimmingly. However, at some point Tudor lost its way and largely fell of the radar. 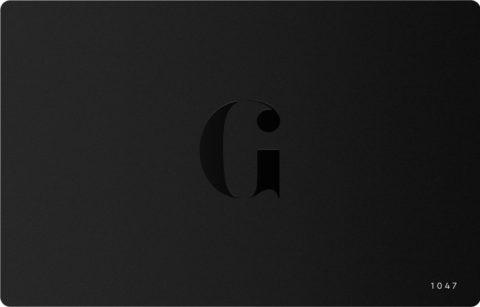 That was until around 2012, when the brand was relaunched in North America. Celebrating a return to its roots, Tudor is once again focused on tool watches, heavily inspired by vintage models from its early pioneering days. The reception from the market so far has been, to say the least, extremely enthusiastic. Not only do the watches look great but they are also extremely well-made, often with in-house movements and are offered at very reasonable prices. Plus, the brand has excellent credibility amongst collectors and enthusiasts alike. You don’t need to be a watch guy to wear a Tudor, but once you put one on, you become a watch guy. There’s just something intoxicating about the designs, the fact that the watches are fit for purpose. 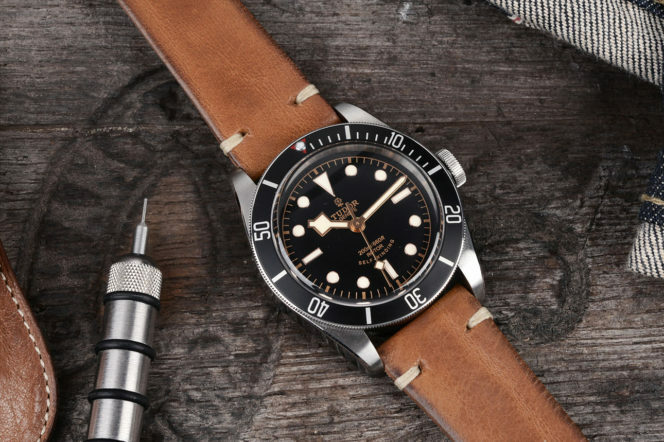 Sure, you’ve never been diving before, heck you can barely swim, but strap a Heritage Black Bay to your wrist and suddenly you’ll have this overwhelming desire to stick a hunting knife in your mouth and go free diving for buried treasure. What make the experience all the more authentic though, is the fact that you actually could do it if you wanted to (the not being able to swim part notwithstanding). 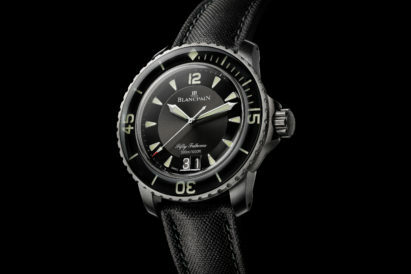 The Black Bay is a proper dive watch. It’s rated water resistant to 200m (600 ft), it features a bidirectional rotating bezel so you can track your elapsed dive times and has highly luminous indications set against a black dial so it’s easy to read in low light conditions. The steel bracelet meanwhile is inspired by the folding riveted bracelets of the brand’s watches from the 1950’s and 1960’s, which also featured a distinct stepped construction. Modern day techniques have been used to incorporate these aesthetic touches, whilst ensuring first rate quality. The watches in the Heritage line also come with an additional fabric strap made by a hundred-year-old family business from the St-Etienne region of France especially for Tudor, using the traditional Jacquard technique. It’s a simple touch maybe but one that makes all the difference on the wrist and is yet another example of Tudor’s commitment to quality. What is perhaps most significant at this price point however, is the use of in-house movements. Without going into detail, many watch brands source their movements and movement parts from external suppliers. There’s nothing wrong with this, it’s a common practice not unlike what happens in the automotive industry, and in fact, Tudor has done this with some of its other models. The logic is simple; manufacturing movements is extremely expensive and requires years of R&D, so it is not feasible for many brands to do this and still offer competitive prices. Tudor, and of course elder sibling Rolex, however, are what are referred to as vertically-integrated manufacturers. That means they have the skill, expertise and machinery to create everything themselves, to their exact specifications and quality standards. Plus, they can innovate internally, constantly pushing the boundaries of what’s possible. 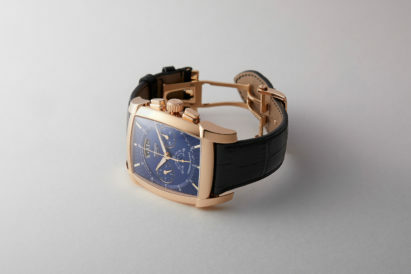 All that, from a watch brand whose prices are considered by many to be ‘entry-level’. If you’re wanting to establish your ‘watch guy’ credentials and look good doing it, Tudor is the brand for you.